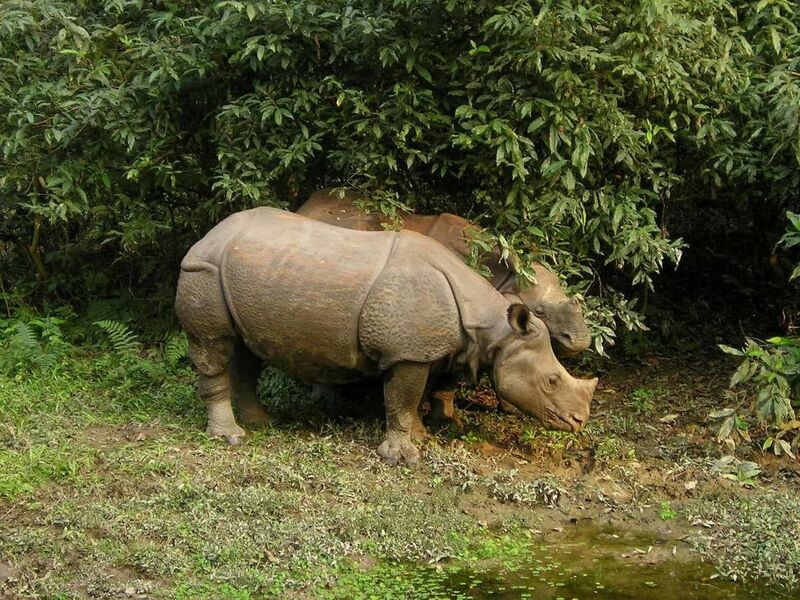 Chitwan National Park Safari is one of the premier draw cards in Nepal. This World Heritage–listed reserve consists of marshland and grassland containing sizeable animal populations. It is one of the best national parks for viewing wildlife in Asia. 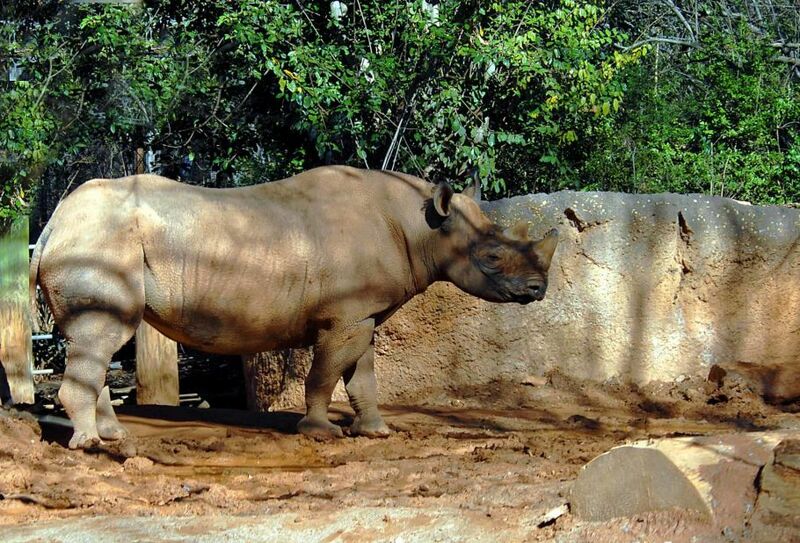 You’ll have an excellent chance of spotting one-horned rhinos, deer, monkeys and some of the more than 500 species of birds. If luck favors, you may spot a leopard, wild elephant or sloth bear. It’s the once-in-a-lifetime chance to spot a majestic royal Bengal tiger. You’ll also have the chance to experience domesticated elephants, although how that interaction takes place is now undergoing a paradigm shift driven by animal rights concerns. 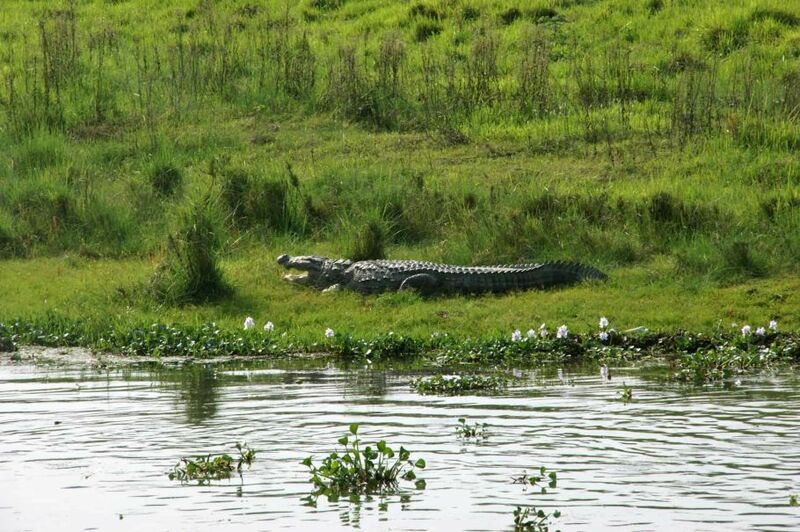 Established in 1973, Chitwan National Park Safari is one of the very best parks in Nepal. The diverse flora and fauna are easily seen year-round, with each season offering its special delight. During the March-June season, a mysterious sun-lit fog covers the land. The short grass time of Feb-May offers the best game-viewing season, and the autumn months are the best time to see gorgeous Himalayan views. Bring your camera! 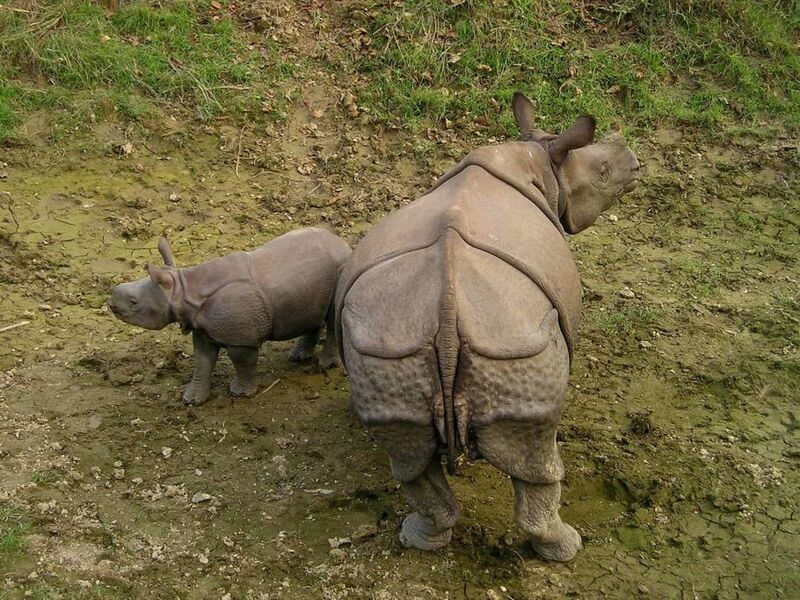 On our Chitwan Chitwan National Park Safari Wildlife Discovery, you may see a one-horned rhino, royal Bengal tiger, wild elephant, deer, wild boar, sloth bear, leopard, bison, or jackal. Many reptiles including the gharial crocodile live there, as do many species of the birds including hornbill, lesser florican, paradise flycatcher, and others. A photographer’s haven, Chitwan is easily accessible, linked by river, highway, and air transport, with regular flights, river rafting, and tourist bus service from Kathmandu and Pokhara. We will drive to Chitwan National park on a private tourist vehicle from Kathmandu. During your drive in the highway you will come across picturesque Hills and Rivers. The drive takes around six hours from Kathmandu. On reaching resort, you would be briefed by our Guest Relations Officer. After the lunch you would be going for village tour. Meanwhile the dinner would be ready by the time you return to the resort. Overnight at Resort. Today we will spend all day in the park and Elephant Safari will be our first stop. Then after the Lunch we would go for canoe ride and also visit the Elephant Breeding Centre. This is gonna be a very educative tour especially if you are bringing your kids along. After the Breakfast we will move ahead for morning tour which will provide you one of the best times to see the wildlife at its best with Jeep Safari. 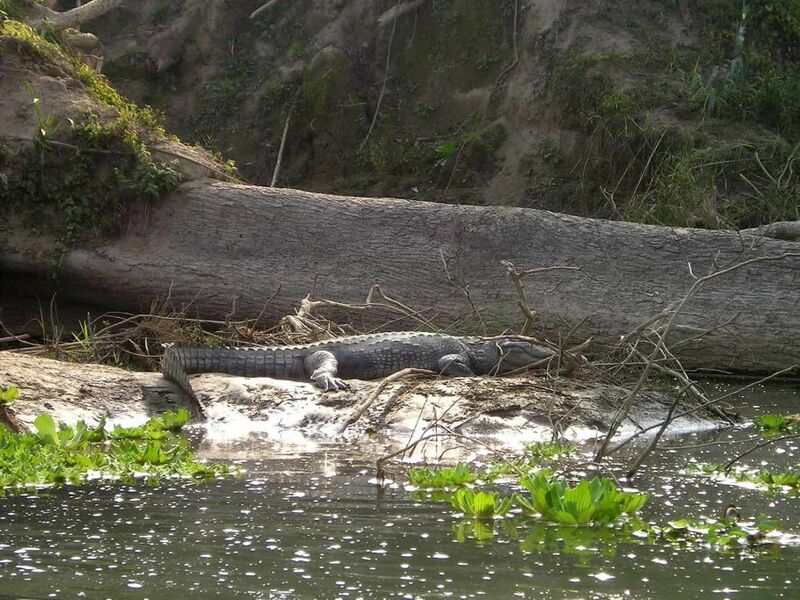 We will take local boats to watch crocodiles along the banks. Late afternoon, for once in a lifetime you will be invited to join Tharu Cultural Stick Dance with the villagers. Overnight at Resort. Today is the last day of the trip so after morning tea we would be going for bird watching as Chitwan is very famous also for the different species of the birds, which is the attracting fact for the visitor. After that we would be back to resort, have breakfast and get ready for heading towards Kathmandu in a tourist vehicle. Our representative will assist you for it. Overnight at hotel in Kathmandu. Hotel accommodation in Chitwan twin sharing basic. Full board meal (B.L.D.) during Chitwan safari period. 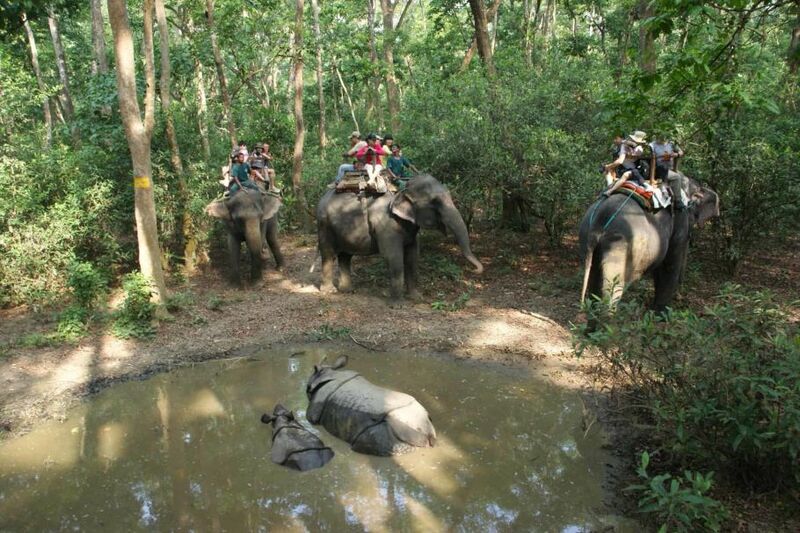 Jungle Activities like Elephant ride, Jungle walk, Canoe ride, Elephant breeding center tour, bird watching, Tharu village tour and cultural show on choice. Transportation to Chitwan by Tourist Bus. 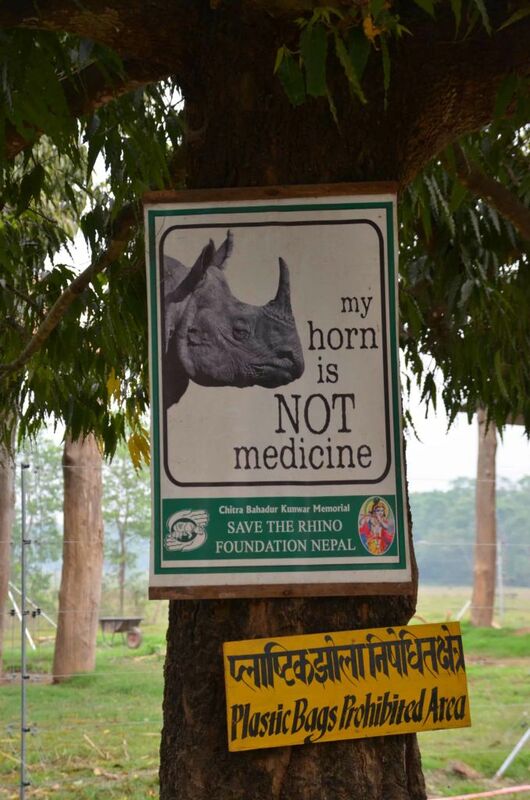 Government / Local taxes, Chitwan national park entrance fees. Bus Park/ airport pick up and drop. Personal expenses like phone, bar bill, laundry, beverages etc. Meals on the way of journey by Tourist Coach. Tips for Guide, driver as well as other staff. To get you the best hotel value, Osho World Adventure suggests that you stay outside of the park hotels. Staying inside the park is very expensive. 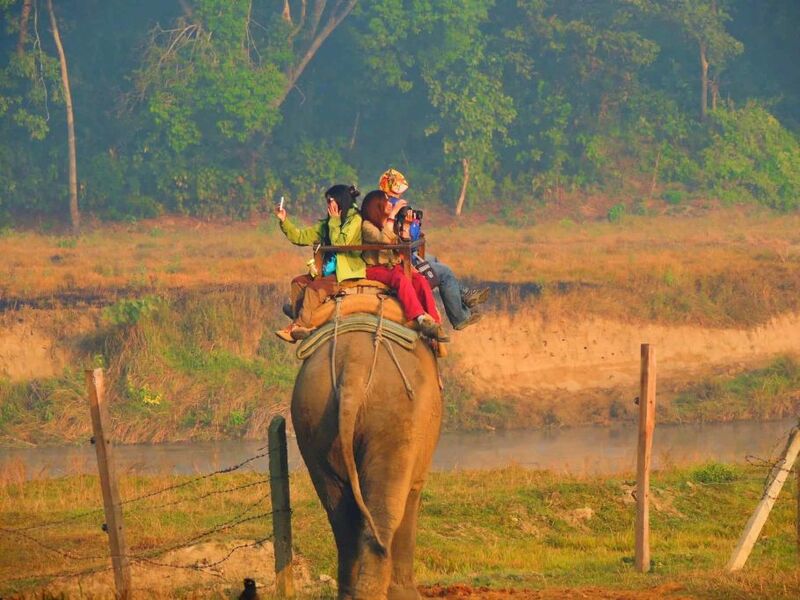 There is so much to see and do at Chitwan that we highly recommend staying 3 or more nights! 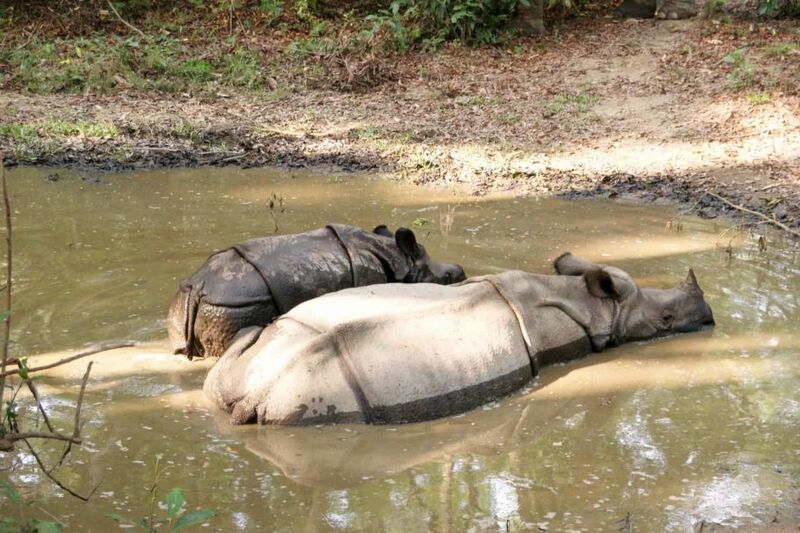 Please inquire for details to help us design a Chitwan Jungle Safari trip to be your most memorable vacation ever!